With some of the biggest names constantly topping the charts and releasing new radio-ready hits, its easy to forget that they too were once hustling to make themselves known. So, we’ve compiled a list encompassing some of the best local artists across the country who deserve your support on their come up. Listening to these guys on Spotify might shake you up a bit, since the band has been redefining their previously ‘Neck Deep’-style pop-punk sound to a more refined, matured grunge. Though they only have a few songs showcasing their musical growth, you’ll have to catch Silver Age at a show on one of their upcoming tours (just trust us on this one). Hailing from South Florida, Never Loved fuses the lines between pop punk angst and grungy rock anthems. The group recently released “Goddamn” off of their upcoming self-titled EP, out March 31st. If you find yourself jamming a lot of Weezer choruses, these guys belong on your playlist. As if the name wasn’t indicative enough, From States Away is a family of talent with members stretching from central New England to the depths of Long Island, NY. Fresh off of a packed out EP release show this past January, this band shows no signs of stopping until every state knows their name. Powered by a strong woman with strong opinions, Glambat is not for the lighthearted. Using musical art for a means of self-expression, Glambat effortly mixes sparkle and grunge for a genre-unique sound that brings hard-earned attention back to Connecticut’s music scene. Shorebreak already has quite the discography, yet every release stands on its own as a marker of the band’s musical progression. Their latest self-titled EP gives us total nostalgia between the tones and vocals reminiscent of early Fall Out Boy and lyrics that serve as a poetic memoir of loss and longing. If we had to describe a band as a color, The Press War would be a soft pink. Their music makes us envision the perfect balance between calming sunset drives and late nights out dancing as they pair emotive lyrics with vibrant and upbeat instrumentals. Their sparkling guitars and velvety vocals make them an asset to every daydream. Their latest single, “Money,” will have you hooked on its melodic alt-rock riffs and wistful 80s synth vibes. Weeping Wound speak truths through their lyrics, touching on topics of addiction and abuse among others. The crushing breakdowns and bellowing vocals, mixed with somber instrumentals, create an experience more than just a song. Boston’s Degrader have an exciting next couple of months. March will see the group head out on their first headlining tour to celebrate the release of their debut full-length album, Burn You; Burn We (out March 22nd). If you’re on the East Coast, the tour won’t be one to miss. Kayak Jones’s new single, “Lonely Dependent,” bleeds passion and intensity between every line. The raw vocals will hit home as they ascend into the spirited chorus. They’re a necessary addition to your “Feels” playlist for the next time you need a heart-out jam sesh. Nashville indie-rock group Pale Lungs describe themselves as “lush and loud,” and we couldn’t agree more. Their diffusive sound is soft and appeasing, yet will stop you in your tracks. 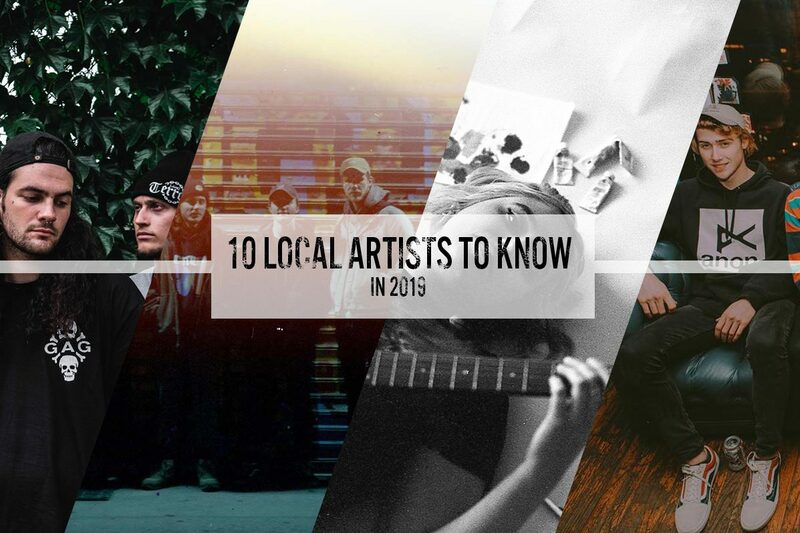 Bringing you the latest in music news, reviews, and artist discovery. All artists deserve to be heard.